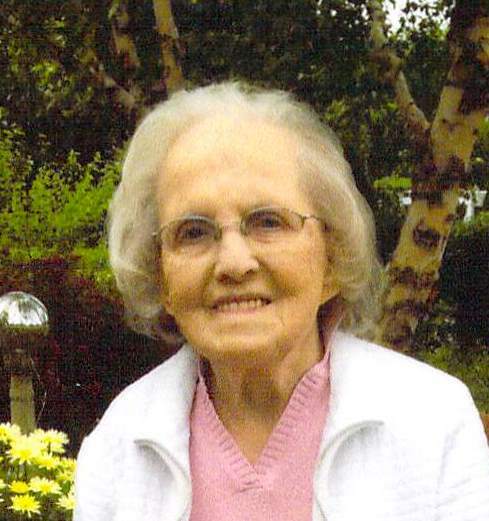 Gayda, Anna Gayda, age 95, of Stratford, beloved wife of the late Michael Gayda, passed away peacefully on November 22, 2018 at Bishop Wicke Health and Rehabilitation Center with her loving family by her side. Anna was born on November 4, 1923 in Poland. She was dedicated to caring for her family and cherished spending time with family. Anna is survived by one daughter, Jennifer Basso and husband Mark of Stratford, one son, Ron Gayda and wife Patricia of Stamford, six grandchildren, Jason Basso and wife Kate, Marisa Guglielmoni, Ryan Gayda, Jennifer Gayda, Sarah Gayda and Joseph Gayda, four great grandchildren, Zane, Cruz and Elsie Gugliemoni and Quinn Basso. Funeral services will be held on Tuesday, November 27, 2018 at 10:30 AM at St. James Church, 2070 Main Street, Stratford where a Mass of Christian Burial will be celebrated by Rev. Rogerio Perri. Interment will follow in Lakeview Cemetery. Friends may call at the Galello-Luchansky Funeral Home, 2220 Main Street, Stratford on Tuesday morning from 9:00 to 10:00 AM. The family wishes to thank the staff at Bishop Wicke for their care and compassion shown to Anna.